Universal Lithium There is 1 product. 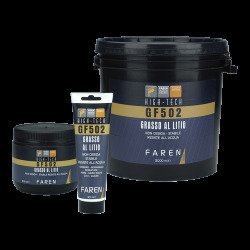 UNIVERSAL LITHIUM GREASE To lubricate vehicles, self-propelled and fixed work-site industrial machinery. For hinges, gears, locks, pins, wheel hubs, skids, cables, sheaths, etc. Packaging available: 125-500-1000ml.